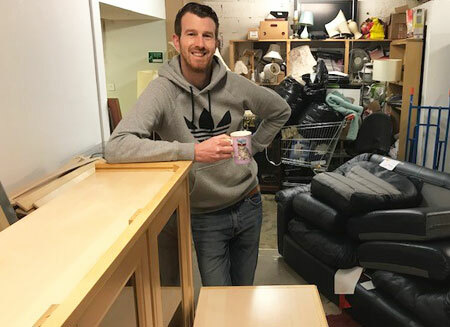 At Berriman Eaton, it is part of our job to understand communities in order to sell and rent homes within them, and it felt right giving something back. 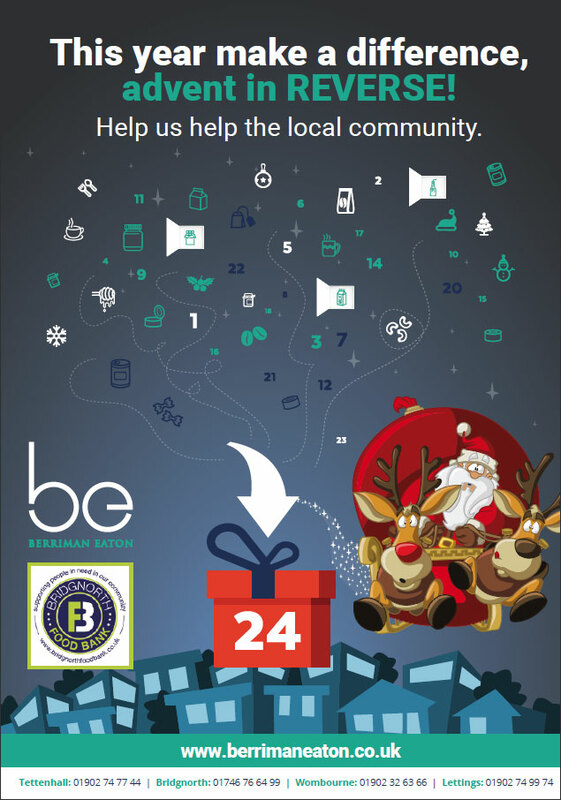 The concept of ‘BE in the Community’ is for the company and all of our team to give something back by means of volunteer and charity work. 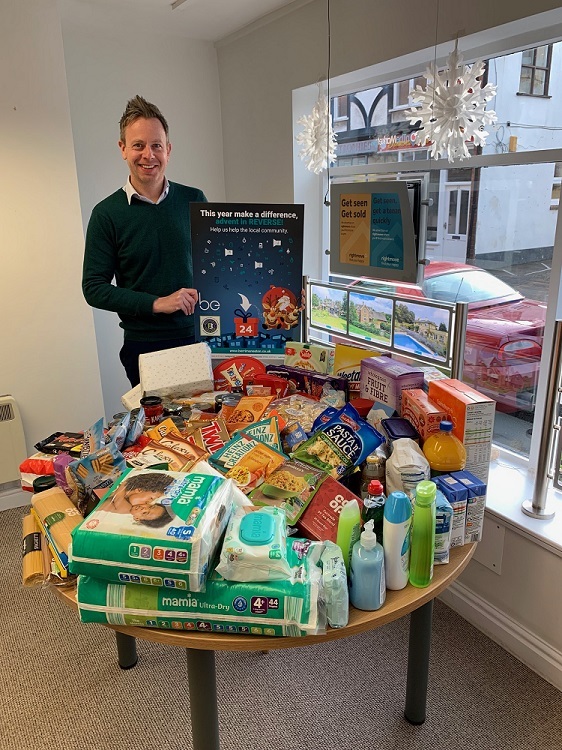 The items vary from washing up liquids and baby wipes to boxes of chocolates and cereals. 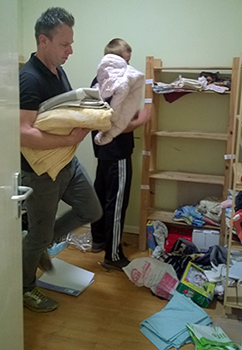 We would like to thank all of our staff and clients who have generously donated to a worthy cause. Wishing all of our clients a very Happy and Healthy New Year! 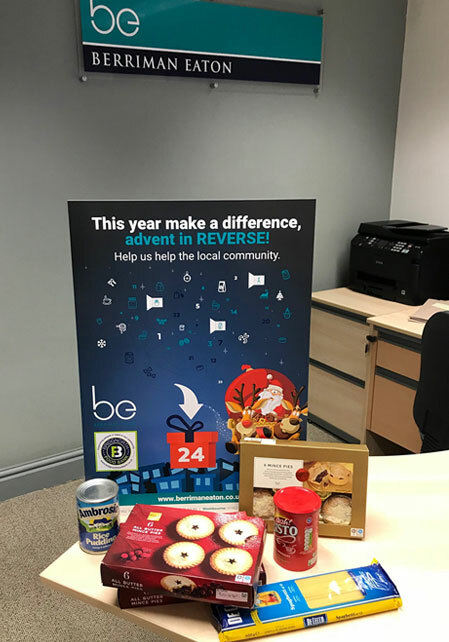 Make a difference for someone this year – REVERSE ADVENT – Donations can be dropped off at any of our offices in Bridgnorth, Tettenhall or Wombourne. "St Chad’s C of E First School in Pattingham is an award winning First School in the heart of Pattingham village. 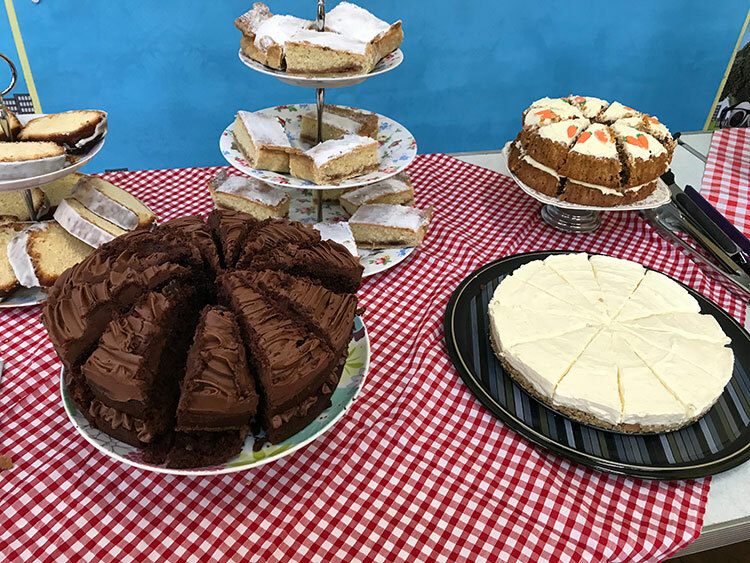 The school have an active Parents, Teachers and Friends Association (PTFA) who raise funds to support the children’s learning in school in a variety of ways which bring the school and wider community together. 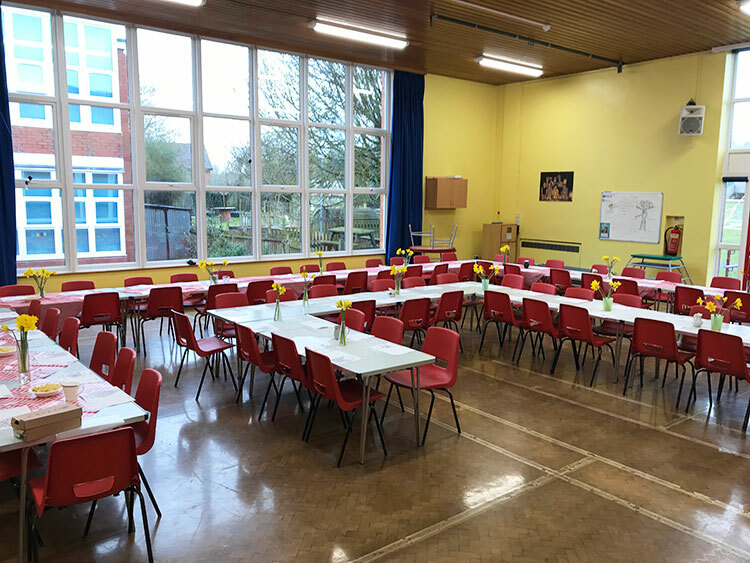 Children were able to invite one, or more, family members to an Afternoon Tea to show their appreciation in time for Mothers’ Day. 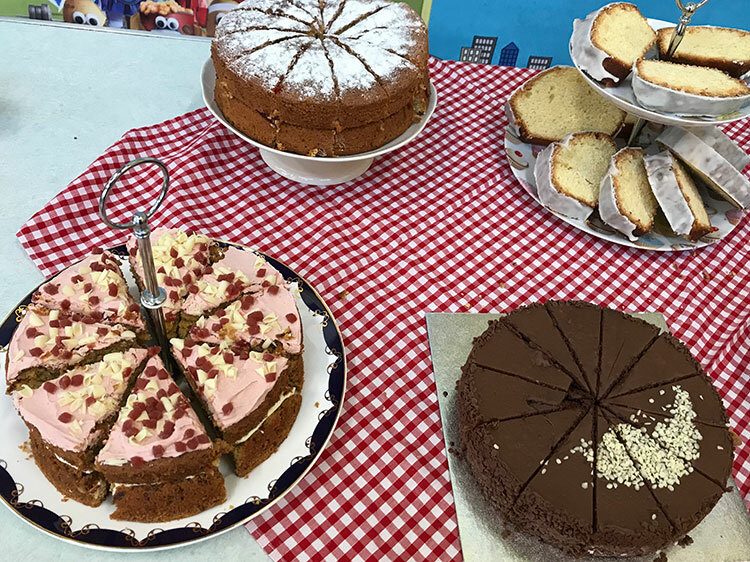 The PTFA made a selection of cheese and ham sandwiches, and baked cakes in preparation for the afternoon. 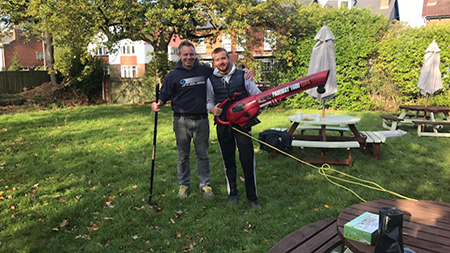 A small group of volunteer Dads, including Bruce, were on hand to serve the families which made for a relaxing atmosphere, greatly appreciated by those who attended. 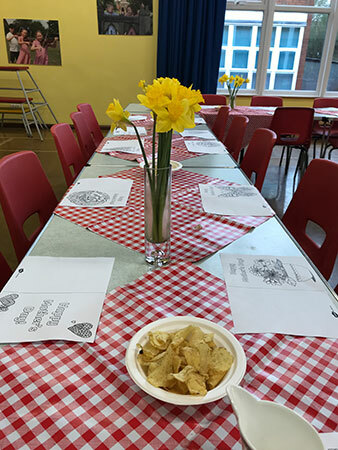 Vintage china and bunches of daffodils made for a lovely scene and the event raised a wonderful £152." 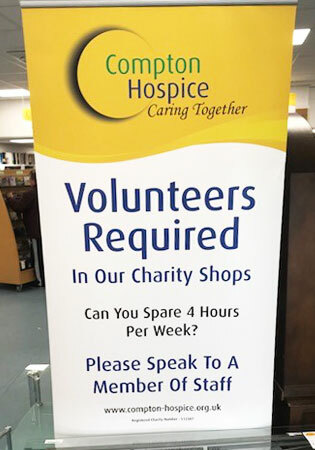 Our first BE in the Community volunteering day for 2018 took us to Compton Hospice's superstore in the centre of Wolverhampton. The four members of staff on the day included Andy, Emily, Sarah and I - all geared up ready to assist in any way possible. 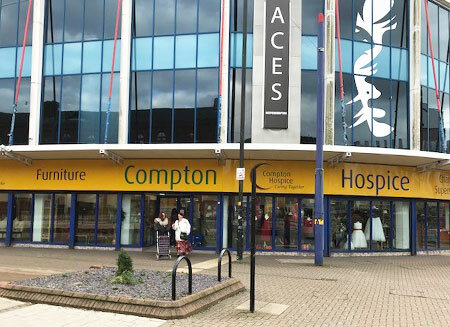 Ed Blackwell, manager of Garrick Street, welcomed us and proceeded with a tour of the extensive superstore with all aspects of Compton Hospice being covered. 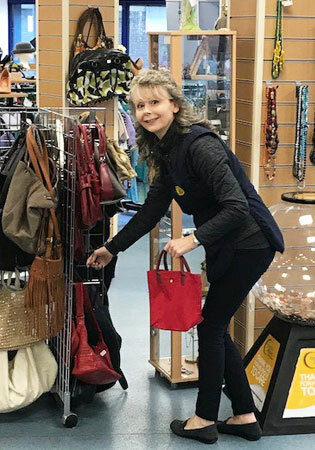 On the day Emily worked on the till working very well with other volunteers whilst Sarah was on the shop floor keeping all items in order whilst assisting with shoppers. 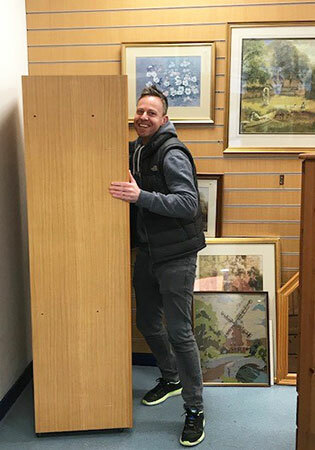 Andy and I helped with the furniture side of the store, generally moving sold items to the collection area and re-arranging existing sale items, allowing for more space on the shop floor. 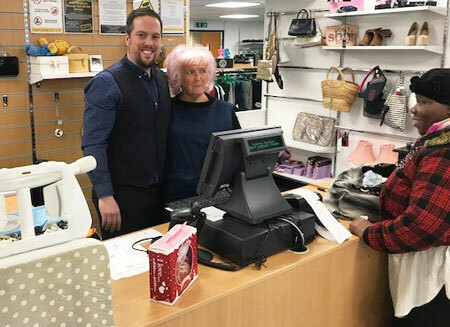 "At Compton we are lucky to have over 850 volunteers aged from 16 to 90 years old who give up their time to support us, just like yourselves, and as a result this helps us to save over £1million every year in running costs, ensuring that donations go that extra mile. 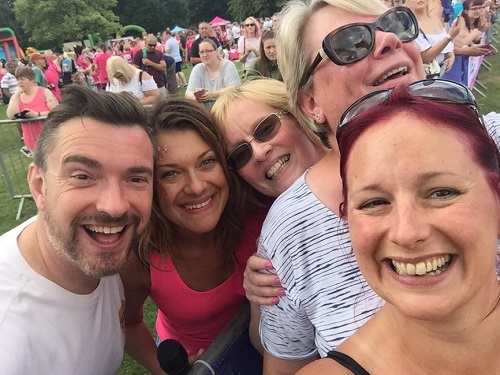 As a result so we are so grateful for your support and hope to welcome you back in the future to find out more about the work of the hospice and how your support helps us." 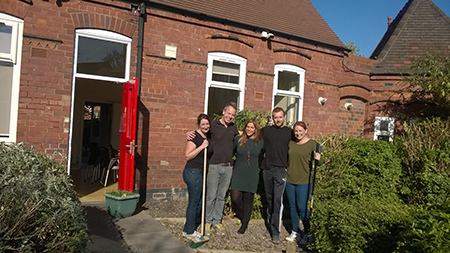 Our latest BE in the Community led us to lending a hand at The Haven in Wolverhampton. 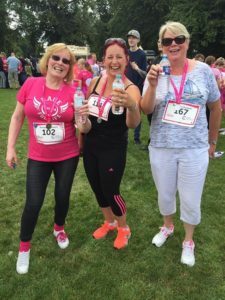 The Charity is an organisation that supports women and dependent children who are vulnerable to domestic abuse and homelessness. The four volunteers on the day from BE included Mel, Oliver, Tric and I. 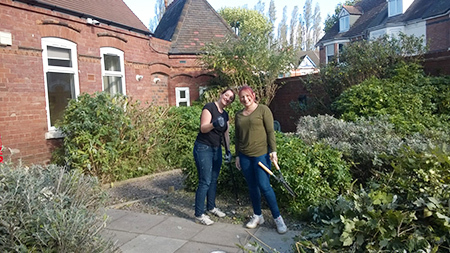 We arrived at one of the hostels ready for a hard day's work, fortunately the sun was shining so it allowed for some garden duties. 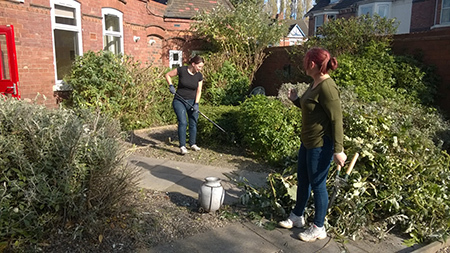 Mel and Tric worked tirelessly in the garden trimming every bush, hedge and tree - as well as tidying the vegetable patch - I think Alan Titchmarsh would be proud!! Oliver and I tended to collecting all of the apples, raking the lawns and re-arranging and de-cluttering the hostels store rooms, hopefully a job well done. Marta Rios, Engagement Volunteer Leader, from The Haven (pictured with the team) helped set up the day and continues to assist the Charity in her full time role and is a wonderful ambassador to the Charity. 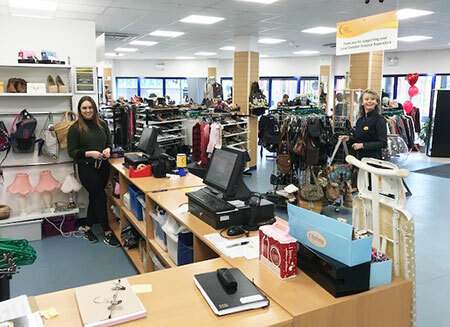 The Haven are always looking for volunteers or donations with Christmas coming soon, please do contact us if you would like to make a donation or might like to provide Christmas presents or any unwanted items. These three intrepid members of BE recently presented themselves at Darlington Street Methodist Chapel to assist in the soup kitchen run by The Little Brothers of the Good Shepherd who used to be in Thornley Street but now rent space from the Chapel. We do various Community Service projects from time to time which not only assists the chosen charity but also opens our eyes to things we would not otherwise experience. Sarah, David and Charlie were unsure about what to expect and were not enthused when Paul, said that the first task was cleaning the toilets which were in a disgusting state and needed thorough cleaning and removal of vomit and everything else associated with dirty toilets. We meekly followed him like lambs to the slaughter and with looks of unconcealed horror on our faces. Halfway there he turned round with a big smile and said ‘ you fell for that’ which we certainly did! Laying up tables followed with some sorting of a profusion of tinned goods, Sarah acting as a waitress and Charlie and David performing the difficult task of making tea and coffee! This is a major enterprise serving hot meals every lunch time and providing carrier bags of provisions on Mondays, Wednesdays and Fridays. The food is provided by almost all the local supermarkets and food businesses who give damaged or other items they could not sell. The throughput is astonishing and they not only provide food but advice on benefits problems and try to equip people to get back into work. On our day the menu was soup, fried chicken, stew and bread and butter pudding. There were about 100 takers and we were told that was a quiet day. The overriding impression was of a very slick operation and grateful and polite recipients. 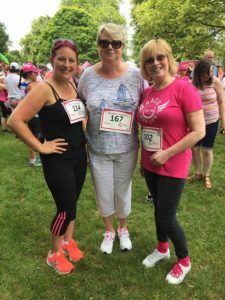 ‘Berriman’s Bluebells’ for Race for Life - £600 has been raised by some Berriman Eaton staff ‘Berriman’s bluebells’ for the Race For Life held in Himley last weekend.